Failed Air America radio talk show host Randi Rhodes’ comments on Justice Clarence Thomas are yet another glaring example of the double standard when it comes to race and childish decorum in the public square. Not only would a conservative who made this kind of comment about a black public official be lambasted as a racist, they would demand a resignation. This observation is more than just speculation. Currently, every criticism of President Obama is branded as racist. In fact, there doesn’t even need to be actual racism, just something that could be associated with a vague reference to racism — like six degrees from Kevin Bacon, but for liberals. It’s called listening for “dog-whistles“. 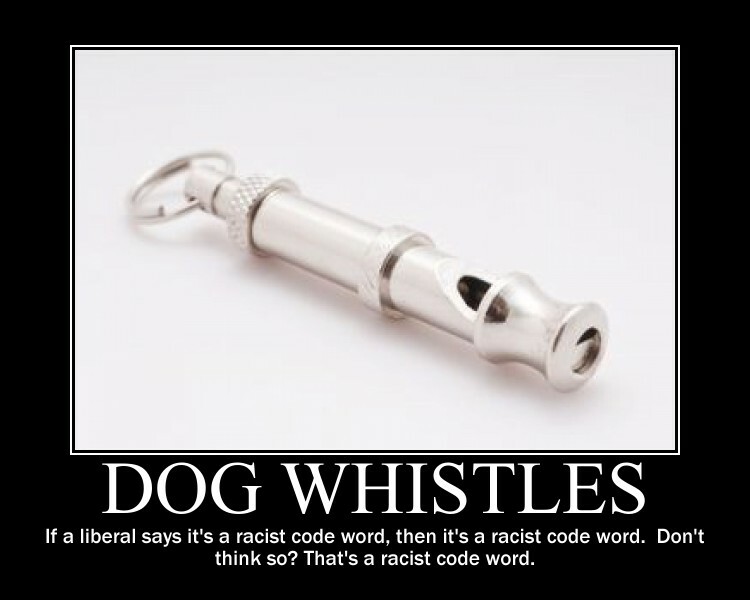 Dog-whistles are perceived racist code words used by racist republicans to convey to the racist republican and conservative electorate that they promise to hate blacks while in office. For example, if you think we need to reduce the number of people on food stamps, you think blacks are lazy and just have their hands out for food stamps. If you think we should do something to prevent illegal immigration, you hate Latinos and think brown people should be stopped randomly and be forced to prove their citizenship. And here we have a liberal talk hose referring to the only black Justice on the nations highest court as a dog who doesn’t think. Is this a “dog-whistle”? Is this a racist comment? I don’t think so. Double standard? Definitely. Rhodes comments aren’t racist, but neither are the countless other dog-whistles attributed to republicans and conservatives. Perhaps that’s why she’s a “failed” Air America radio talk show host.